Posted byBokharest 824	 December 13, 2018 March 8, 2019 Leave a comment on Welcome! 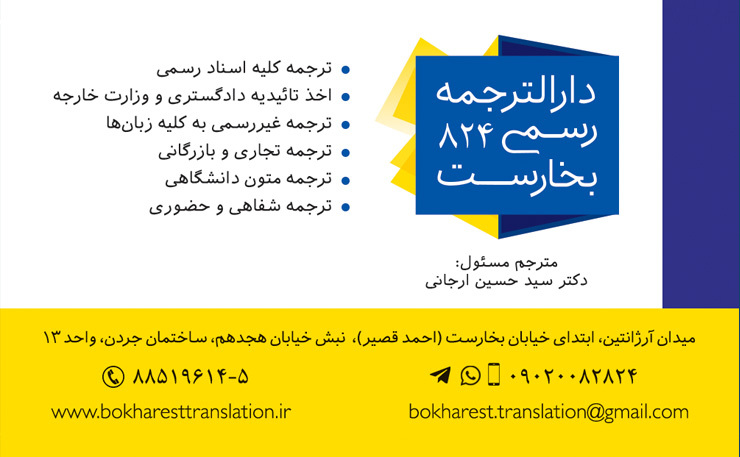 If you are looking for certified Persian <> English translation services, notarized and legalized by the Iranian Judiciary and the Iranian Ministry of Foreign Affairs, you have come to the right place! 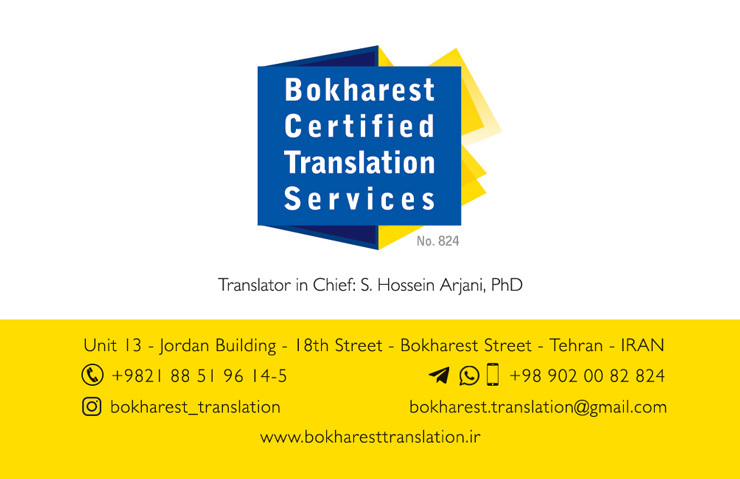 We are close to Vozara Street, Gandhi Street, Beyhaghi Street, Alvand Street and several embassies and VFS offices in Tehran, and we provide high-quality translations delivered by official translators, professional translators, and academics.